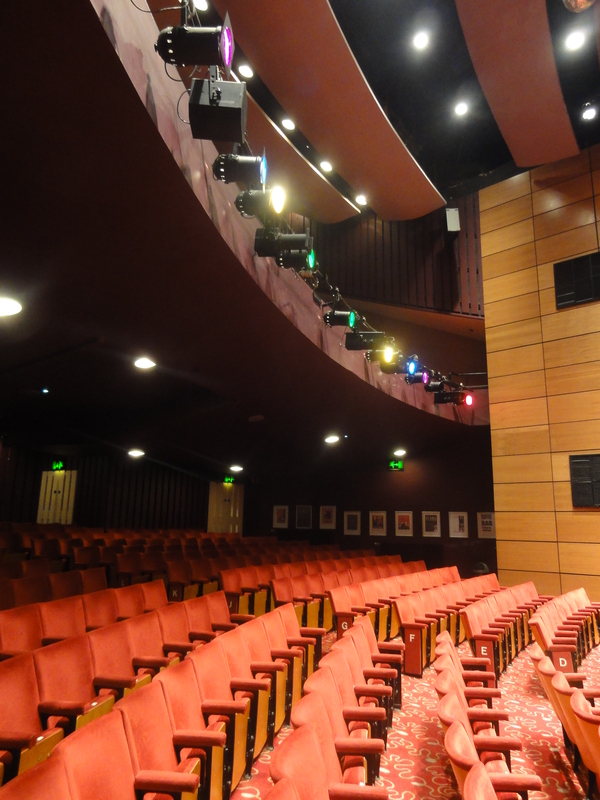 The St. Helens Theatre Royal website is a comprehensive, easy to use, accessible site, which allows patrons to view Theatre Royal events and activities online. Regular emails are sent out to remind customers about our accessible events. St Helens Theatre Royal offers concessionary rate theatre tickets to essential careers for disabled patrons, please check with Box Office for details. St Helens Theatre Royal has an accessible toilet and baby-changing facilities. St Helens Theatre Royal is accessible to wheelchair users via a ramp at the main entrance. Disabled parking is conveniently close, with designated spaces at the front of the building. Staff are always pleased to offer help when required. Please inform the Box Office of your requirements when booking your tickets and go to Reception on arrival. Digital Hearing Aid Enhancement in the Theatres In order to enhance the sound in our theatres through a digital hearing aid, an infra-red Sennheiser system is in operation in all three theatre spaces. Sennheiser necklace or headset receivers are required to use this system and are available from the Information Desk or programme sales point at the theatre. The hearing aid must already be pre-programmed by the supplier to work with the necklace receiver. If the digital hearing aid has been supplied by the NHS it will already have been pre-programmed. However, if it is from a private supplier, it will need to be checked with them to find out if it has been programmed to operate with an infra-red Sennheiser system and switching the hearing aid to the ‘T’ position. The infra-red Sennheiser system works regardless of whether actors wear a microphone or not. Performance considerations for Disabled patrons All of Regal Entertainments Ltd productions offer at least one signed and one audio described performance for sight and audio impaired patrons respectively. Following in the innovative work by the Royal National Theatre and the society of London Theatre, Regal Entertainments Ltd family pantomimes also offer a relaxed performance for each production. A relaxed performance is about welcoming children with special needs (including Autistic Spectrum Conditions and/or learning disabilities) and, crucially, their families to the theatre to a performance where those needs are accounted for with a more relaxed atmosphere and some changes to the production itself if necessary eg: lowering of lights or sound at certain points of the show. Arrival and car parking services There is a passenger drop-off point immediately in front of the St. Helens Theatre Royal. On Street parking is available at the back of the building. There are three sets of double doors at the front of the building. These open outwards. A step-less route connects the theatre foyers with the stalls and lift access to the circle and bar. Box Office and sales points. The floor surfaces are carpet throughout the building. The main foyer areas have high ceilings and wide walkways. 7 ladies toilets – (soon to have an extra 3) on the lower ground floor and 3 men’s plus 4 urinals on the top floor. 1 disabled toilet is on the ground floor. St Helens Theatre Royal is split on two levels which are wheelchair accessible. Furniture is free standing and moveable. First Aid assistance is available on request. Royale Room: Our function suite, suitable for a wide variety of events from business conferences to jazz nights, from dance classes to weddings. A variety of rooms of different sizes available for hire.